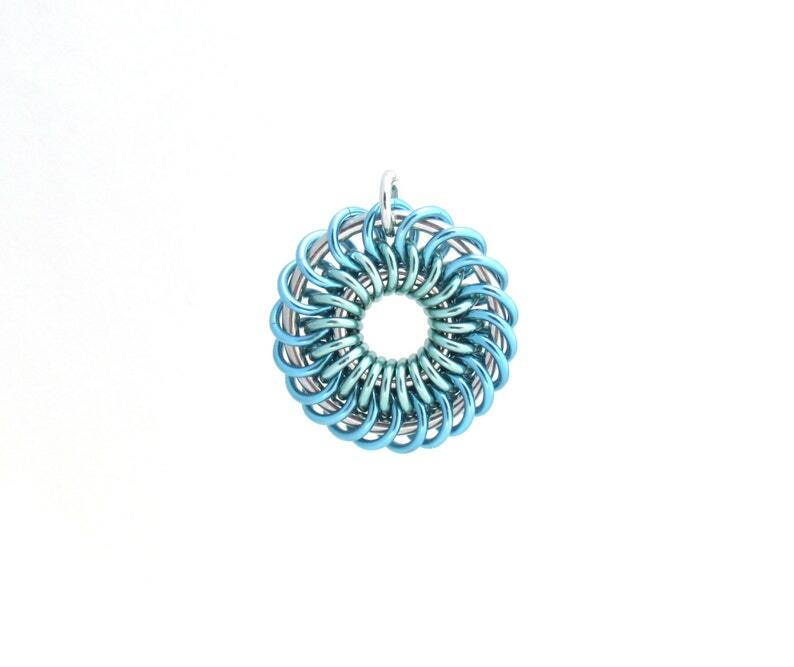 This lovely pastel pendant is a beautiful piece of multicolor chain maille jewelry, sure to delight anyone! It features anodized aluminum jump rings in pastel sky blue and seafoam green, as well as plain aluminum (silver colored) rings. It measures approximately 1 1/16" in diameter (not including the jump ring used as a bail). It is very lightweight and eye catching!